Hello, y’all and welcome to my Entryway! 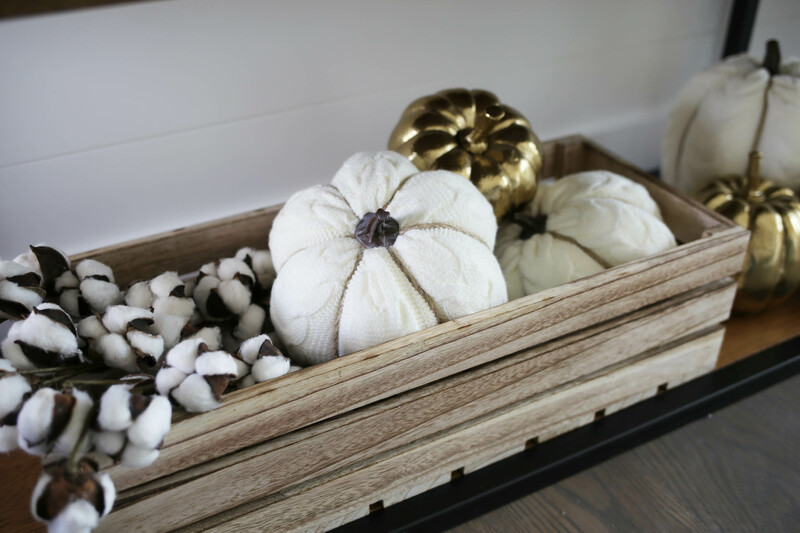 I’ve posted a few spaces of the new Idaho house: pantry, mudroom and one bed but this is the first holiday decor I’m sharing! I don’t know about y’all but I’m SO happy it’s FALL! As I’ve mentioned before it’s my most favorite season – leaves changing, crisp air, football, cooking and of course, Halloween! 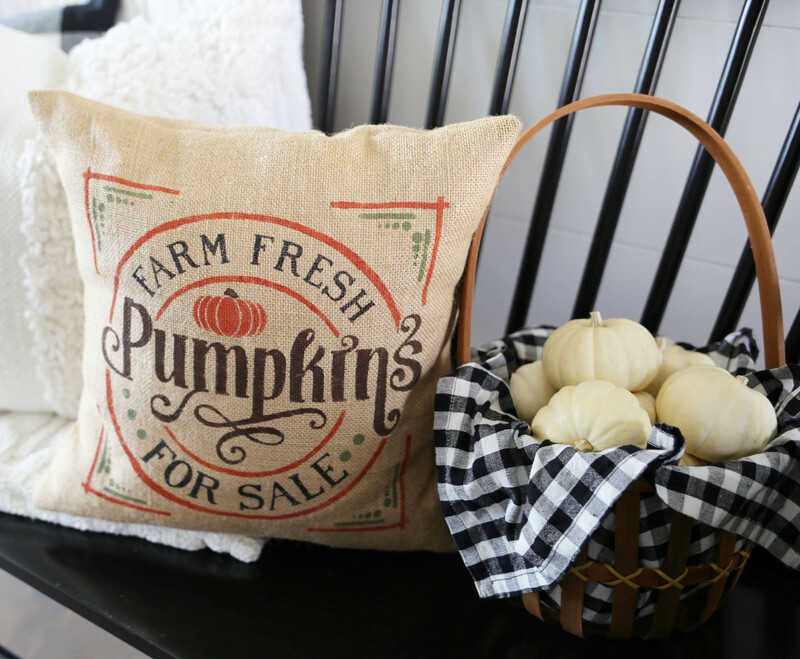 Now before we get the All Hallow’s Eve decor and goodness out, let’s start with fall decor. 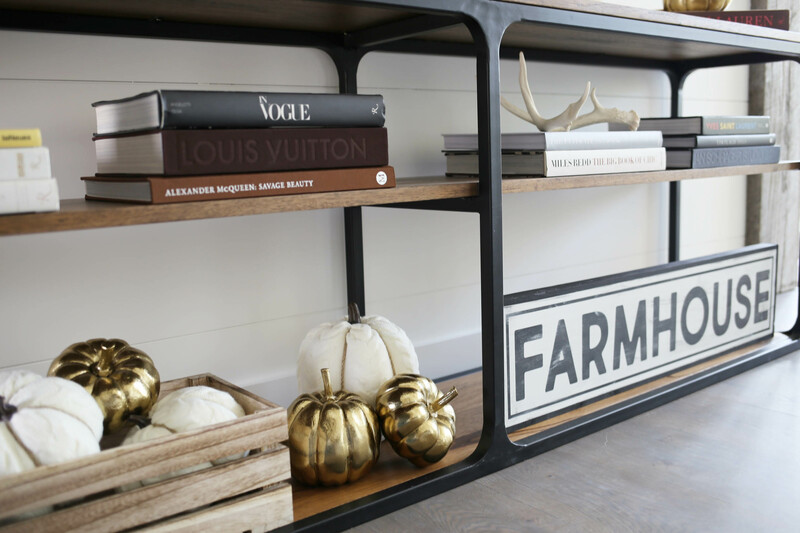 Today I’m sharing my farmhouse entryway and how y’all can decorate a space with easy and festive fall items. 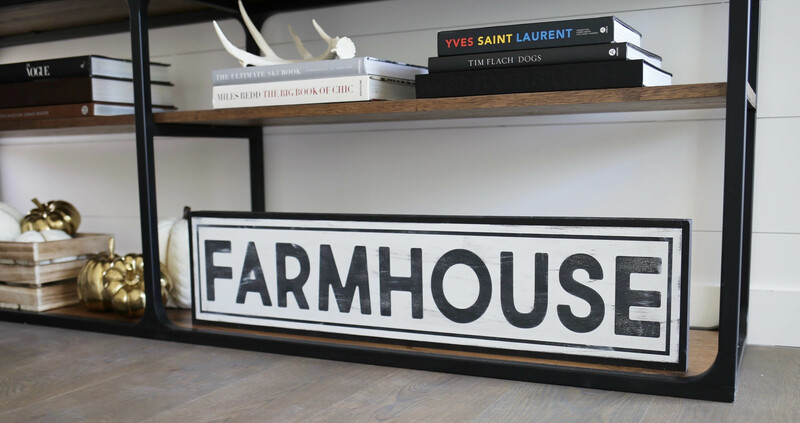 When you walk into my entry I have one side with a long console table and the other with a modern farmhouse black bench. 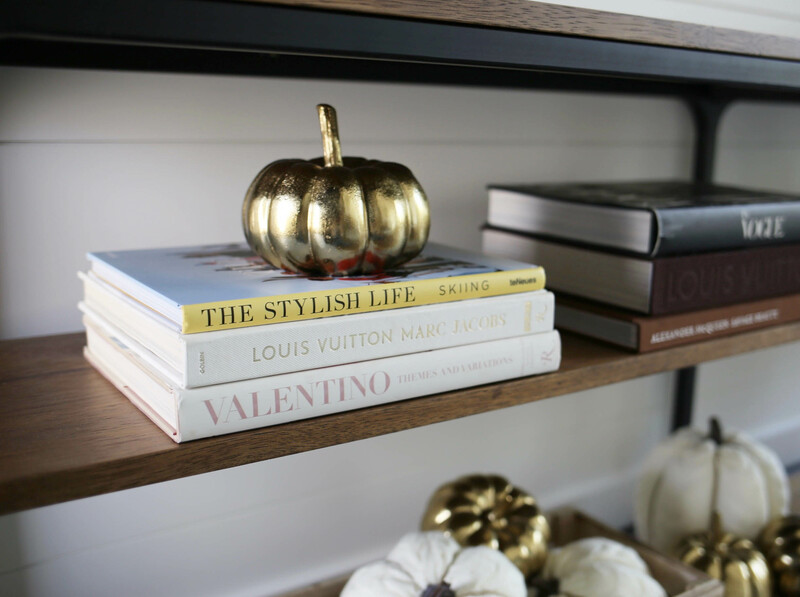 Both areas are great opportunities to decorate with a few pops of fall interiors. If you haven’t figured out yet, I don’t like bright colors in my home. It’s very neutrals with accents of black. 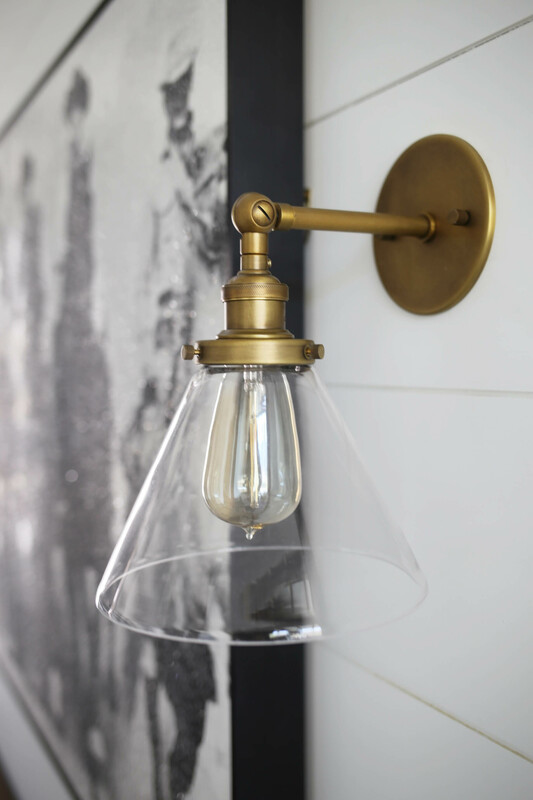 This being said, my holiday decor will also stay in-line with my color palette and overall theme of my home, modern farmhouse. *TIP: purchase holiday decorations that fit into your home style. Decorations can get cheesy fast and you want to make sure your space stays looking good and like YOU throughout the holiday season. Have fun with it! I first started by adding a few festive items to my bench. 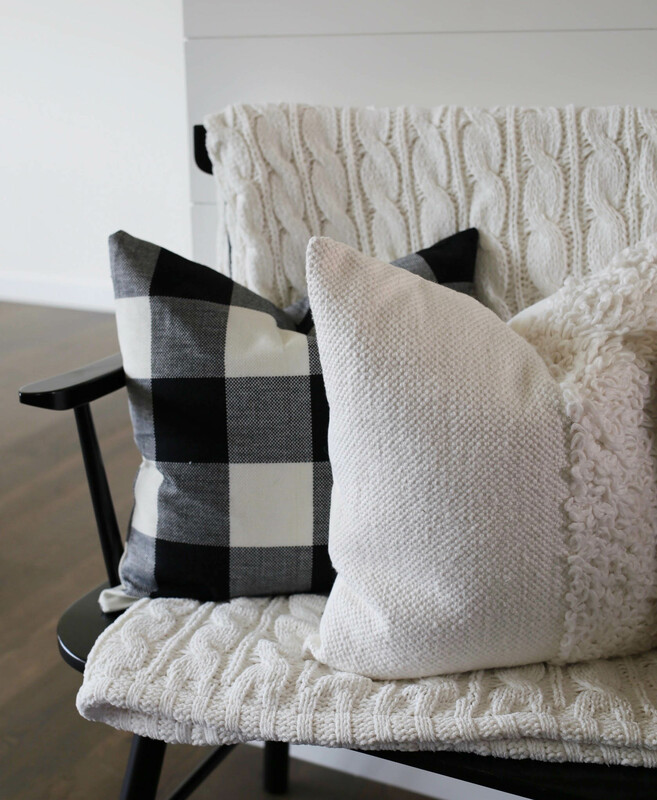 I already had styled this spot with a cozy white blanket, two pillows and a round gold mirror above the bench. 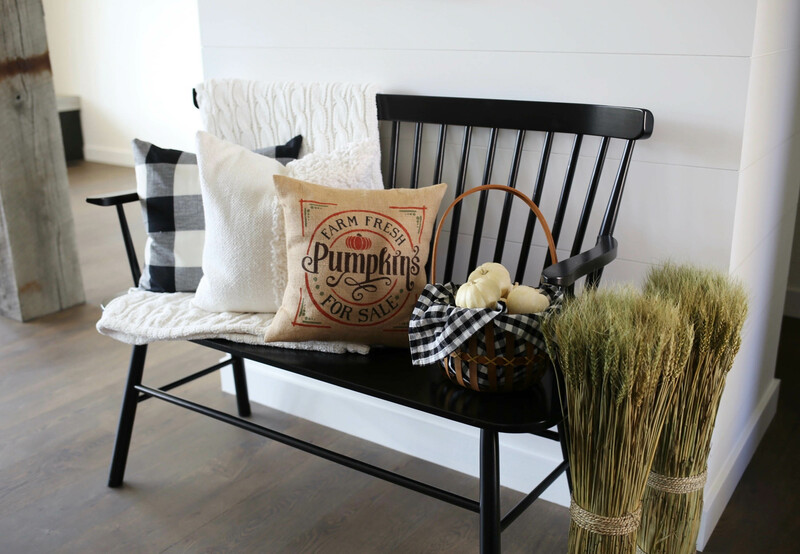 I decorated the other side of the bench with my burlap pumpkin pillow and natural basket filled with small white pumpkins. 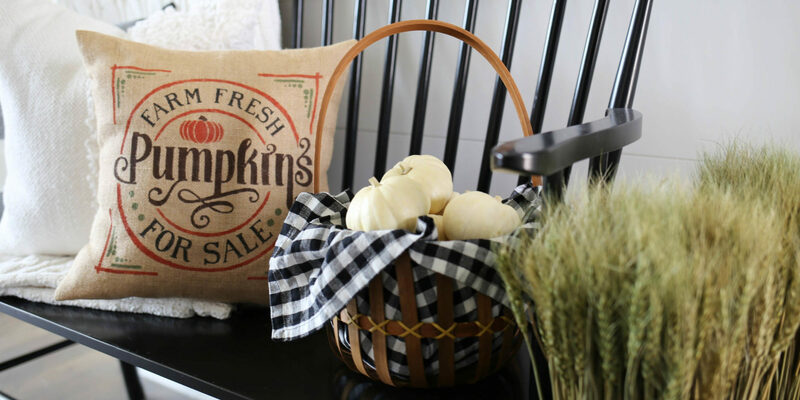 I added a little black check napkin to the basket to tie in with the black and white colors throughout my house. 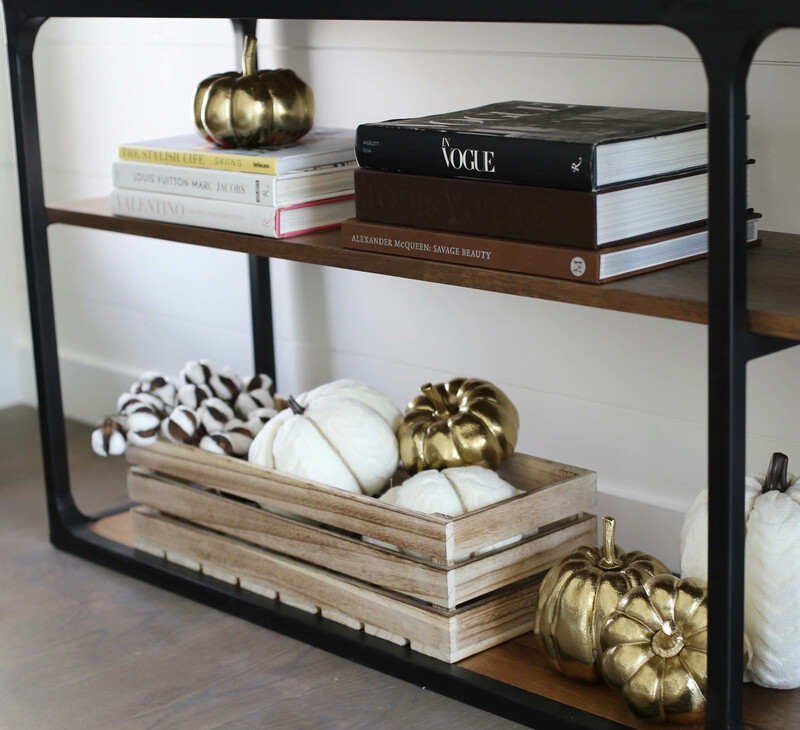 I then found two wheat-looking plants at Homegoods and thought they would make for the perfect fall farmhousey touch. As I mentioned above, your holiday decor does not have to look cheesy. 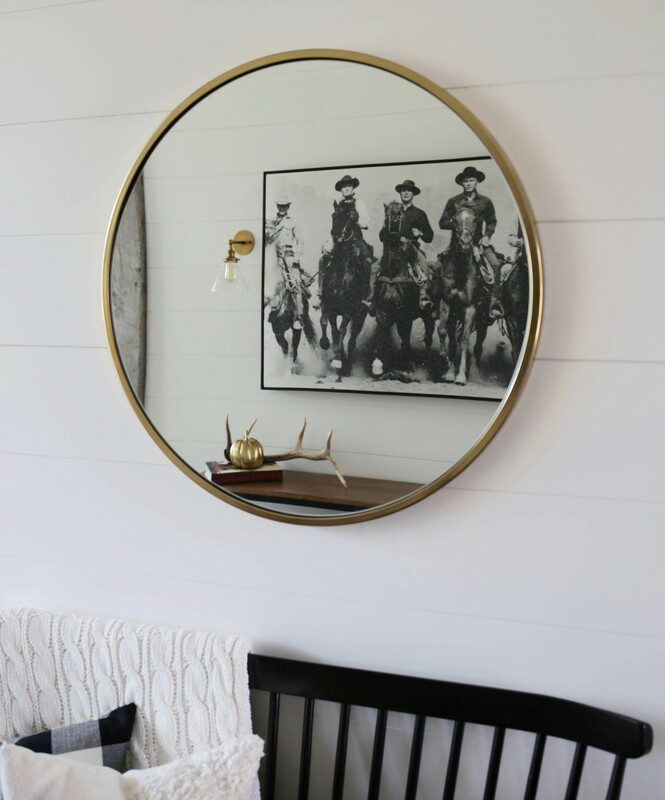 Make it feel like it belongs in your home. 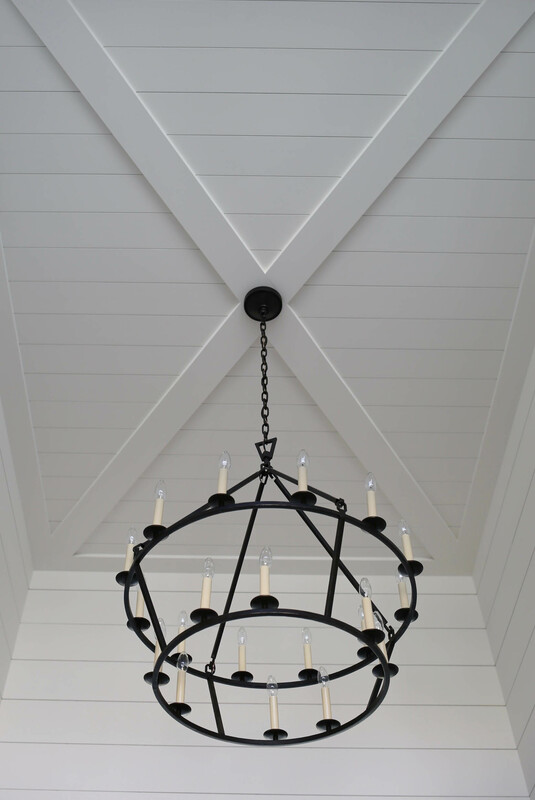 I went with simple and neutral decorations and they look great! 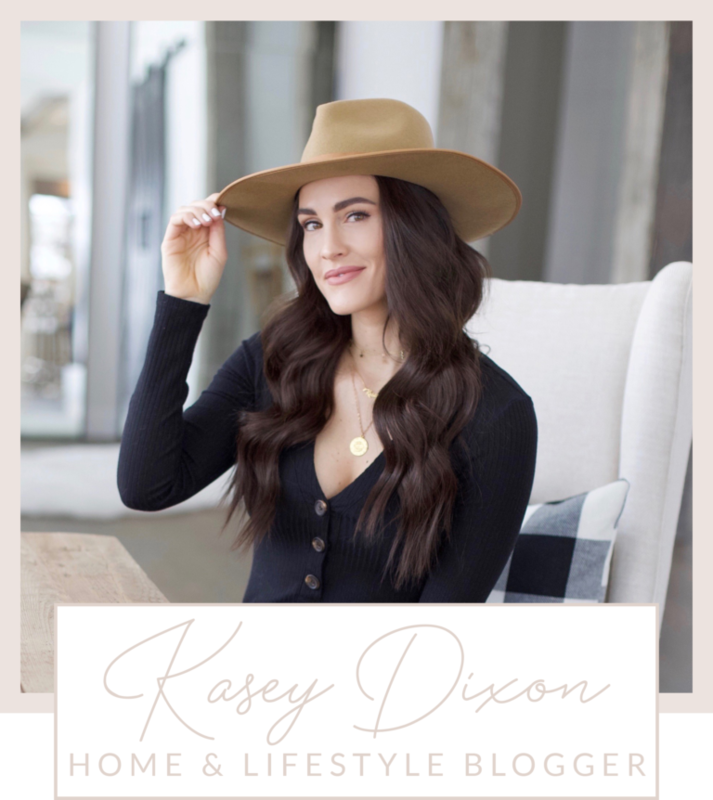 See below to shop all of my festive fall items, furniture and decor as well as my entryway finishes – fixtures, paint, door and flooring. Happy fall, y’all!! 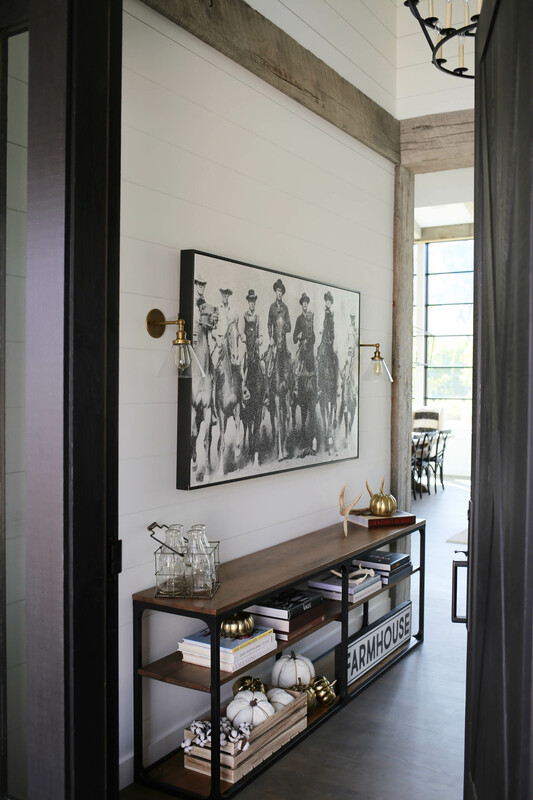 Share the post "Fall Farmhouse Entryway"
Obsessed with this!! 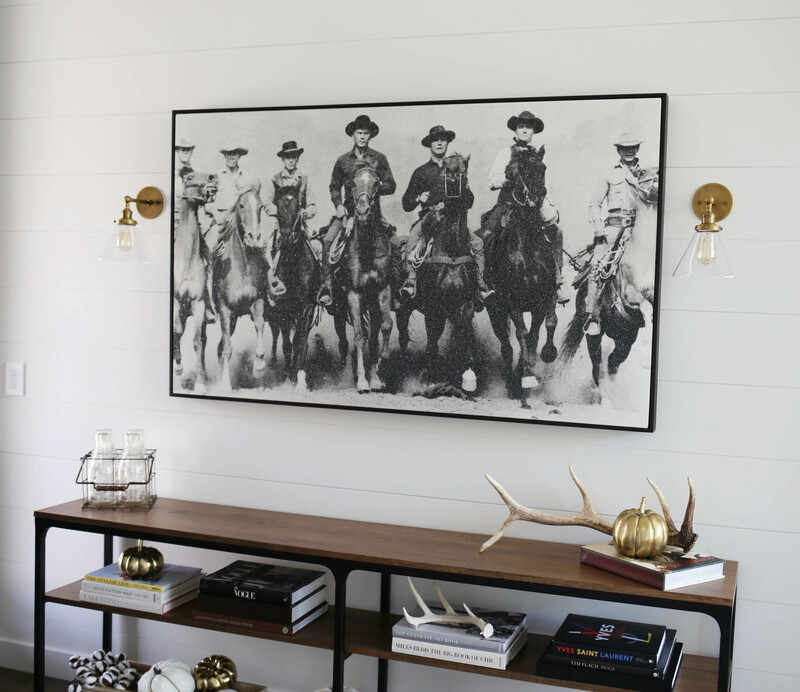 Quick question…desperately want that Magnificent 7 print but the one on your wall looks larger the one you linked. Is it the same or do you have deets if it’s larger? I need a pretty large scale print. Thanks girl!! Could you send me the contact for the gallery in a London where you got your mag 7 print from? Love it!